This disappointing rendition of The Who’s famous rock opera is probably one to be avoided for most but may hold some important lessons for others. The Who’s Tommy is a stage performance of the band’s 1969 studio album Tommy, featuring all the tracks – such as Pinball Wizard – that are still celebrated today, and tells the tale of a deaf, dumb and blind kid attempting to communicate. The set decoration is great and the lighting on the stage floor is brilliantly designed, but ultimately and unfortunately, this production just doesn’t do the original album justice and the songs all feel a little flat. It’s not that the cast are bad at singing. They all have great voices. But there’s just no attitude. This is The Who, classic 60s-70s rock and roll legends. And yet, it feels like these numbers are being performed by people who don’t really get it. Where’s the emotion? Where’s the feeling? Where’s The Who? The band, on the other hand, is spot on. Rocking out on a raised platform at the back of the stage, they play with power and style. They bring some rock and roll to the show, it’s just a shame there are people singing over them. But this particular performance of The Who’s Tommy does do something interesting. There is captioning and British Sign Language is weaved in throughout. The BSL forms part of the choreography, beautifully and brilliantly. The whole piece seems to act less as a musical, and more as a proof of concept – that theatre can be made more inclusive. 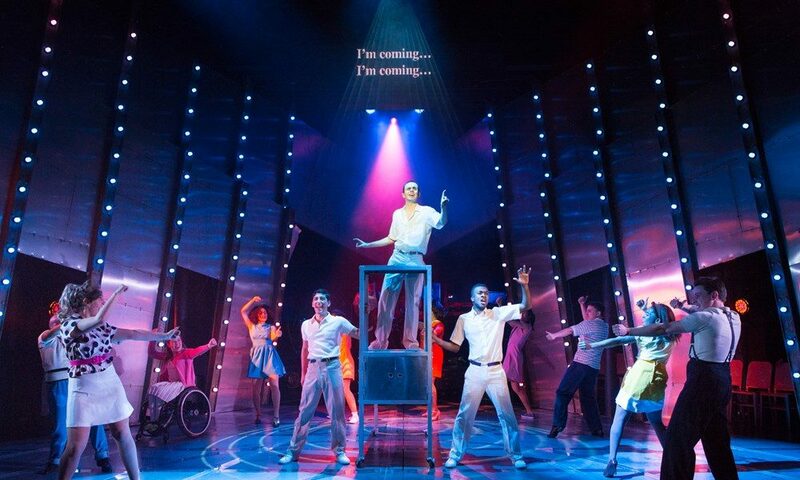 The original album and the movie are both better ways to experience Tommy; without rock and roll attitude, this staging comes across as amateurish. But theatre producers should see this show, if only to learn how seamlessly captioning and British Sign Language can be incorporated into a production, and how the arts can be made more accessible and enjoyable for more people. Tommy is at Theatre Royal Stratford East from 7th until 17th June 2017, for further information or to book visit here.